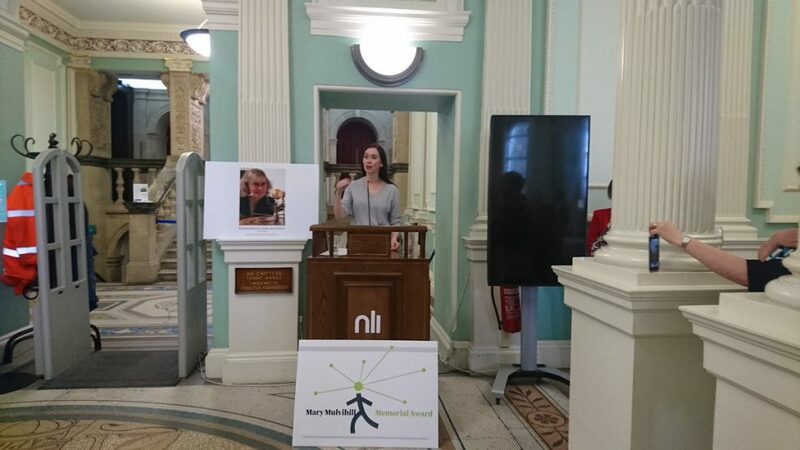 Our inaugural Mary Mulvihill Awardee Irene Fogarty has won the 2018 Postgraduate AAAS Science & Human Rights Essay Prize. This a global competition and the AAAS is one of the world’s leading scientific societies. 56 students from 24 different countries entered the competition. The essays covered a wide range of topics at the intersection of science of human rights, including tropical diseases, artificial intelligence, social science research, and neurotechnology. Barretta, AAAS 2018. The MSc student in world heritage conservation, UCD School of Archaeology, collected her award at the ‘Higher Education and Human Rights’ symposium held by the Coalition on Thursday at the AAAS headquarters in Washington DC. Her winning essay, “Protected Areas Conservation, Indigenous Peoples and Human Rights,” was selected by a panel of judges in June… Kearns, UCD 2018. We offer our warm congratulations to Irene on this prestigious award.